BUTUAN CITY -- Authorities rescued three minors from online sexual exploitation and arrested two suspected online traffickers during an entrapment operation Sunday, February 3. Members of the Women and Children Protection Center–Mindanao Field Unit (WCPC-MFU) of the Philippine National Police caught the suspected online traffickers offering to sexually abuse two of the minors -- an 11-year-old girl and a 17-year-old boy -- and to stream live the sexually explicit acts for a foreigner online in exchange for money. The suspects -- a 22-year-old man and a 33-year-old woman -- previously offered to sexually abuse the other victim, a boy aged 13, during online surveillance. 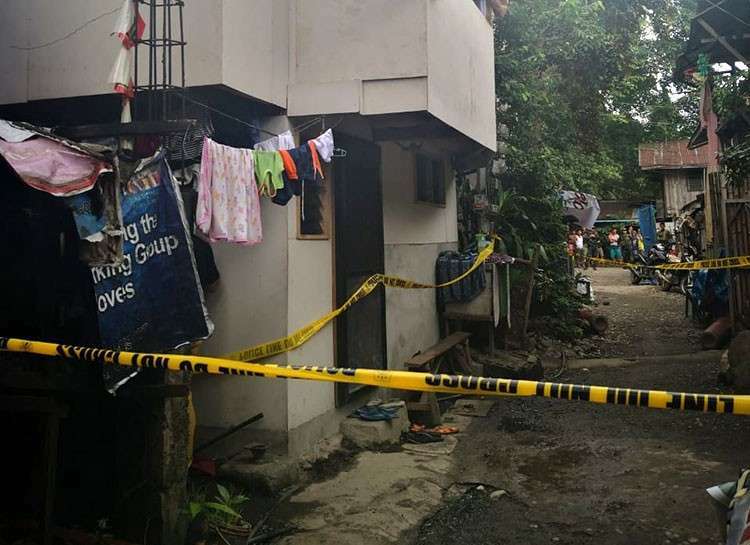 The operation took place at 12:45 p.m. Sunday, February 3, at the residence of one the female suspect in Butuan City. Police arrested the suspects and rescued the two boys, who are cousins. Hours later, the 11-year-old girl, who is the younger sister of the male suspect, was rescued in Gingoog City, two hours away from Butuan. Police said the male suspect acted as the trafficker by offering the online sexual abuse of children, while the female suspect served as receiver of payment. (The names of the suspects are withheld to keep the victims’ identities confidential). The suspects are now under the custody of the Butuan City Police Office. Police recovered the mobile phone, believed to be used for Online Sexual Exploitation of Children (Osec), from the male suspect. The police started investigating the suspected traffickers’ online activities last month. During online surveillance, the male suspect offered to stream live sexually explicit acts involving two of the minors in exchange for money from an online predator. Sunday's operation was supported by the Butuan City Police Office (through its Women and Children Protection Center, and Special Weapons and Tactics), the Regional Anti-Cybercrime Office-Caraga, the Regional Inter-Agency Council Against Trafficking-Caraga, Department of Social Welfare and Development-Caraga, Butuan City Social Welfare Office, and International Justice Mission. WCPC-MFU Chief Rassel Tuliao stressed the need to protect children from any forms of exploitation. “The vulnerability of minors should not be taken by adults as an opportunity for exploitation to satisfy the insatiable greed for lust and money. Instead, these children should be groomed to become better and progressive members of our society,” he said. “When traffickers sexually abuse and exploit children online for easy money, an effective law enforcement response is essential; in fact, it’s the only way to rescue the children and stop the abuse,” said lawyer John Tanagho, IJM Cebu Field Office director. “That’s why the continued success and commitment of the WCPC Mindanao Field Unit is an answer to pray for vulnerable Filipino children across Mindanao. If this Unit is given more officers and increased budget, WCPC can more effectively combat Osec across the region in coordination with other police and government partners,” he added. Now under the protective custody of the Department of Social Welfare and Development, the rescued victims will receive psychosocial interventions, including therapy and rehabilitation. Rescued victims of Osec would only be returned to the community after a comprehensive family home and risk assessment is conducted to confirm that the home is a safe place for the children and that they will no longer be sexually abused or exploited by parents, relatives or neighbors.